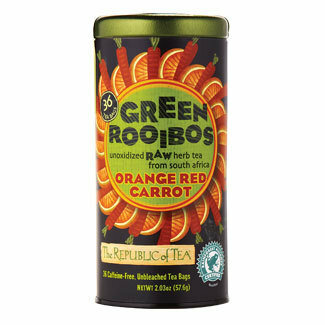 I am a fan of Republic of Teas blends and this one stood out when I was at the store. I like orange carrot juice so I thought a tea form of it would be interesting. The rich orange color is nice, the scent is sunny and the taste is very citrus, clean and warming. I drink mine hot without sweetener. The citrus notes add sweetness and a flavor that I believe does not need anything added to it. Even though it is caffeine free it picks you up first thing in the morning! I'm such a tea addict! And this sounds so good! Never been on that site & I've just spent 5 mins drooling! haha! Wish we had better teas in the U.K! I love Republic of Tea too! Orange red carrot sounds like such a unique flavor. I am a total coffee fiend, but I like carrot apple juice so this might be a good find for me. I would think the U.K. would have decent teas! I like coffee too - but tea in the morning so I can do yoga without being jittery!